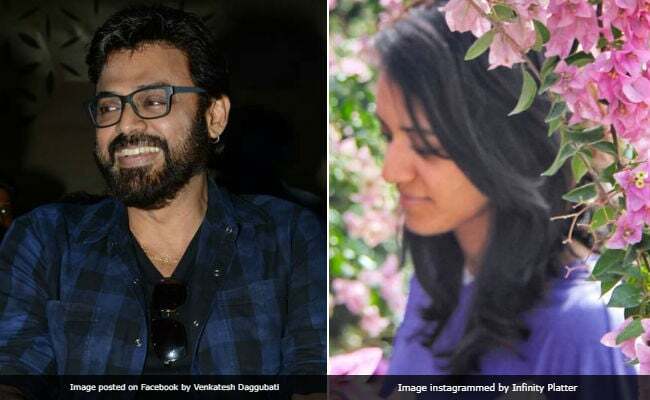 Actor Venkatesh Daggubati and his daughter Aashritha found a spot on the list of trends after several media portals reported that she is all set to marry longtime boyfriend come March. Aashritha got engaged to her boyfriend on February 6 in the presence of their family members and close friends at Venkatesh Daggubati's home in Hyderabad, according to reports published The Times Of India and TollywoodNet. However, a grand wedding celebration is on the cards at Nanakram Guda in Hyderabad on March 24. Aashritha Daggubati is a baker and food blogger. Her Infinity Platter has a massive following across various social media platforms, including Facebook and Instagram. Her fiance is the grandson of R Surender Reddy, the Chairman of Hyderabad Race Club. Aashritha Daggubati has several illustrious film personalities on her family tree. Venkatesh Daggubati is the son of actor-politician Ramanaidu Daggubati and his brother is producer Suresh Babu Daggubati. Aashritha Daggubati and actor Rana Daggubati (son of Suresh Babu) are first cousins. Meanwhile, Lakshmi Daggubati, who was married to actor Akkineni Nagarjuna, is Venkatesh and Suresh Babu's sister. Actor Naga Chaitanya is also Aashritha and Rana Daggubati's cousin. Akhil Akkineni is the son of Nagarjuna and Amala Akkineni. On the work front, Venkatesh Daggubati is basking in the success of F2 - Fun and Frustration while he's filming Venky Mama, co-starring nephew Naga Chaitanya. He is best known for his roles in films like Prema, Swarna Kamalam, Dharma Chakram, Drushyam, Ganesh and Guru. Venkatesh Daggubati has starred in Bollywood films like Taqdeerwala, co-starring Raveena Tandon and Anari with Karisma Kapoor.